Do You Know Your IRA Custodian? A few weeks ago, we shared a list of our trusted global storage facilities in case you have a need to secure your assets in a trusted location outside your home. Now that you know where you can hold your precious metals for safekeeping, what are some of the ways in which you can use your metals to their full advantage? While there are several great answers to that question, this week, we’re starting off with Individual Retirement Accounts (IRAs). ASI is proud to be one of the first precious metals dealers to offer precious metals IRAs, and we’ve been helping our clients open their own accounts for over 30 years. Precious metals are an excellent option for investors looking to balance out their retirement portfolio with a safe haven asset that historically performs well in times of inflation, dollar volatility, and geopolitical uncertainty. Over the years, we’ve developed numerous relationships with some of the industry’s most reliable IRA custodians that we trust to stand behind everything they do. These relationships allow us to give you the freedom to choose from a host of viable options for the management of your precious metals IRA. We know each of these administrative trustees will deliver and keep your metals safe for your golden years. 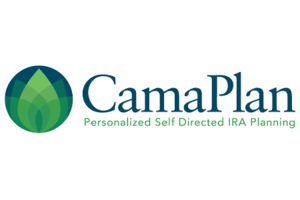 A CamaPlan self-directed IRA account is the faster, safer way to true financial freedom. Grow your wealth and secure your future by holding precious metals (including the PMC Ounce™), real estate, mortgage notes, and other diverse investments in your individual retirement account. Their self-directed IRA services empower you, the IRA owner, to use your own expertise and knowledge to make the right decisions for your money, your investments, and your future. Personalized service: Unlike large institutions, CamaPlan clients get personalized attention and assistance to help streamline processing. No cash balance requirement for precious metals accounts. You pay only for the services you use. Annual fees are prorated based on when the purchase is made. Investor education, such as webinars, live events, and website resources. Online access to your account anytime. No one knows your investment goals better than you. Establishing a CamaPlan self-directed retirement plan offers access to investment options usually available only to well-connected or very wealthy individuals. You can open an account here. Having gone through the drastic ups and downs of the stock market, retirement plan investors are turning to more tangible investments to help mitigate risk with their retirement plan nest egg. Precious metals are one of the investments about which people often ask, but only a few IRA providers offer access to this type of investment. The first step in looking for an IRA provider is their knowledge of rules and access to vendors that can facilitate the ease of buying and selling these metals. U.S. tax law only allows American Eagles and bullion that meet the criteria set forth under IRC 408(m)(3). 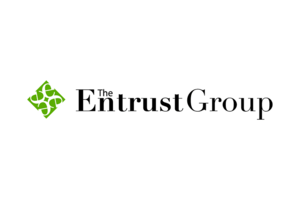 The Entrust Group is an IRA-administrator equipped to handle the requirements involved with holding precious metals in your IRA—from arranging storage with an IRA-approved depository, to providing valuations for IRS reporting, recordkeeping, and administration. Entrust makes it easy for investors to open a Precious Metals IRA with quick and easy funding options, while providing investors access to manage their accounts in a user-friendly Client Portal. Investors can find everything they need to understand the precious metals investment process, required paperwork, and the various IRS regulations at The Entrust Group. Equity Institutional, through Equity Trust Company, allows investors to enjoy the potential tax advantages of investing in precious metals through an IRA. Precious metals IRAs can be advantageous, as in some cases, clients can defer taxes on profits or even reduce the amount of taxes paid on profits. Not all custodians are able to hold alternative assets like precious metals. 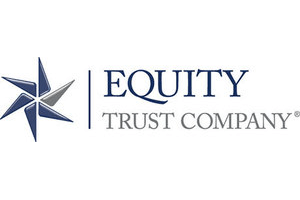 Equity Trust Company specializes in the custody of gold, silver, platinum, and palladium, and has experience with respect to all administrative and reporting duties associated with these assets. Equity Trust Company has been a leader in IRAs, 401(k)s, and other retirement plans involving precious metals—specializing in the custody complexities related to alternative assets. Their simple, streamlined process makes it easy for investors to open their accounts online and then deposit or transfer funds into the account. Furthermore, their online account management tool, myEQUITY, gives investors around-the-clock access to their account, as well as the ability to manage transfers, disbursements, and bill payments. 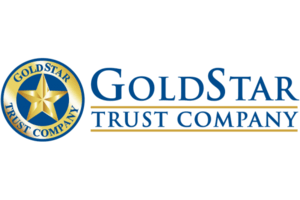 GoldStar Trust Company specializes in Self-Directed IRAs that allow for investment in alternative assets. A Self-Directed IRA simply means the IRA owner chooses the investments made in the IRA, while alternative assets refer to non-traditional assets, which include assets other than publicly traded stocks, bonds, and mutual funds. In addition to holding traditional investments, GoldStar’s alternative asset investment options include precious metals, Perth Mint Certificates, church bonds, approved bank accounts outside the U.S., REITs (Real Estate Investment Trusts), hedge funds, crowdfunding investments, privately offered securities, and other investments. A GoldStar IRA allows for consolidation of diverse investments into a single account. GoldStar can help the IRA owner remain in control while GoldStar handles the regulatory aspects of the retirement assets. Kingdom Trust is an independent qualified custodian regulated by the South Dakota Division of Banking. They specialize in unique and innovative custody solutions for individual investors, investment sponsors, family offices, advisory firms, broker-dealers, and various other investment platforms. 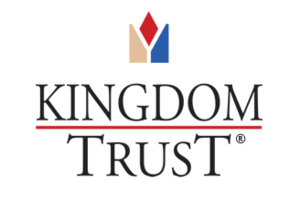 Kingdom Trust currently serves over 100,000 clients and has over $12 billion in assets under custody. Kingdom Trust prides itself in keeping a 2- to 3-day processing time when dealing with this asset class. You’ll also receive personalized service throughout the entire process from a friendly and dedicated team who specializes in alternative assets like The Perth Mint. In fact, their people and their technology make Kingdom Trust the best customer service provider in our business. Along with the unmatched service, their firm offers solutions to your unique investing needs and top-notch security for the safekeeping of certificates. Kingdom Trust pioneered online account opening for the Self-Directed IRA industry by offering the first online account opening system and continues to regularly roll out new custody features to their client base. Millennium Trust Company brings 18 years of leading experience in specialized custody services. They provide service, access, and expertise to investors who want to use their retirement funds to invest in precious metals, including Perth Mint Certificates. They have worked closely with ASI over the years and have secured ASI as their sole Perth Mint Certificate provider. Millennium Trust is committed to providing clients with a positive and professional experience. They do this through a relationship management team specifically dedicated to ASI and simple, straightforward access to investments and related custody services. With Millennium Trust and ASI, investors have the ability to access and invest in specific precious metals through an online technology platform, which can then be custodied through Millennium Trust in a self-directed IRA. 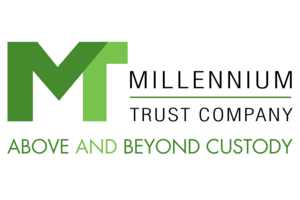 Millennium Trust empowers you with unmatched service, secure and easy access, and trusted expertise. For over 15 years, New Direction IRA has proudly empowered self-directed investors to reclaim control of their retirement strategies. In 2003, New Direction IRA’s soon-to-be co-founders sought to reconcile a dichotomy of investment approaches: Mixed results with their retirement plans on Wall Street and considerable success with their non-IRA alternative investments. They asked, “Why can’t we unite the tax benefits of our retirement plans with the earning potential of our alternatives?” A bit of research revealed that they legally could, inspiring them to shift their retirement focus and help others do the same. 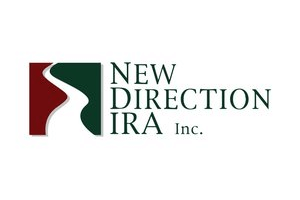 Enter New Direction IRA, where the spirit of investor self-direction and education continues to drive their mission. New Direction IRA believes in efficiency through technology, but never at the expense of the human interaction that today’s consumers hold in such high regard. In addition to 24/7 online account access through the myDirection® portals—through which clients can initiate transactions without having to submit paperwork—clients may contact their dedicated Precious Metal Asset Team to address questions or concerns with a live representative. New Direction IRA’s team utilizes industry-best practices in identity protection, and their IT department vigilantly defends their clients from cyber attacks. Through a combination of service and innovation, New Direction IRA strives to create the best customer experience in the self-directed retirement field. Whether your retirement years are quickly approaching or decades away, it’s never too late or too early to add the stability of precious metals to your retirement portfolio. With so many great options from which to choose for the management of your precious metals IRA, there’s nothing standing in the way of getting exactly what you want from your IRA custodian. To learn more about opening a precious metals IRA, please give us a call at 800-831-0007 or email us.